My latest book review for ChessCafe is now online, at their main review page, for the next week. It can also be seen in their archives. 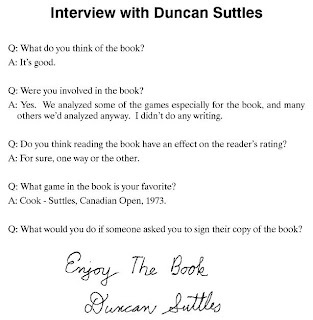 I found the three-volume compilation of over 500 GM Duncan Suttles games to be quite instructive and entertaining. Every single game is annotated, most of them extensively, with primarily textual explanations rather than endless variations. 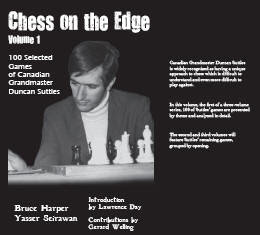 If you're looking for an offbeat opening approach (Suttles nearly always played 1...g6, regardless of how his opponent opened the game), this is a very worthwhile book to explore. "Danailov – Topalov Busted: Sign System Cracked!" 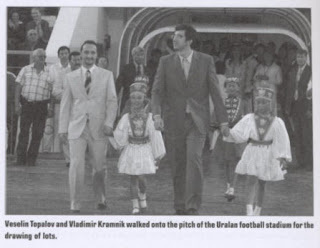 A Chessville article by Robert T. Tuohey finally reveals the truth about the reputed signals that Veselin Topalov's manager provided him. Now we know. 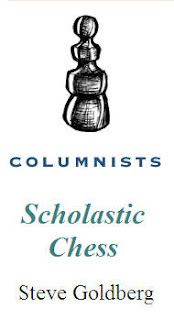 My February Scholastic Chess ChessCafe column is now online. It is titled, "2007 Year-End Tournaments, Part Two" and includes three nice master games, two of which are annotated (by Mackenzie Molner and Ray Robson). 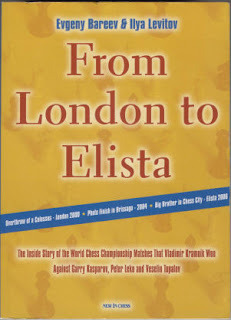 I just finished the New in Chess book From London to Elista - it's quite an interesting read. 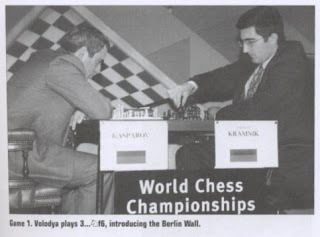 It covers all three (so far) of Vladimir Kramnik's world championship matches - against Kasparov in 2000, against Leko in 2004, and the infamous "toiletgate" match with Topalov in 2006. It's written by insiders from Kramnik's teams and provides a wonderful view into the preparation that goes into a top-level match. It's not just opening strategy they work on, either. 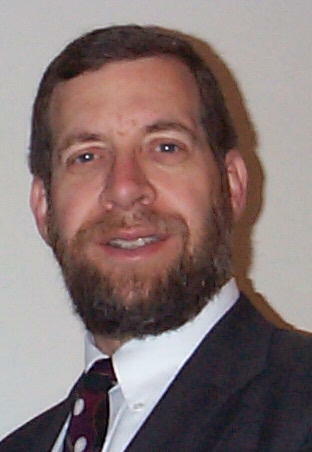 There's often intense attention paid to physical conditioning and psychological issues. Every game of each of these matches is extensively annotated, and a few nice photos are provided as well. My review should appear at ChessCafe within the next few weeks. If you've ever wanted to be a fly on the wall observing what takes place "backstage" with world championship contenders, this is your book. I'm not sure if this link will remain valid, but at least for now, my first Chess Life article is online. 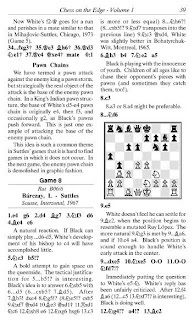 It appears in print in the February 2008 issue of Chess Life and covers the history of the Internet Chess Club.